Want to get in on the drone craze? 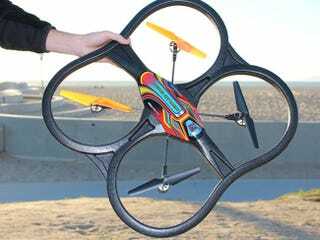 StackSocial is offering a deal on this huge quadcopter + mounted HD camera for 55% off. The Panther is great for beginners, but can also do special drone tricks like 360-degree in air flips. If you order now, delivery before Christmas is guaranteed. This is a big quadcopter – 22.5" x 23" x 4"